Ohio is home to 14 million acres of farmland and over 74,000 farms that produce a wide variety of commodities from soybeans and pumpkins to strawberries and grapes. Ohio's cash crops were valued at over $6 billion in 2015, according to the United States Department of Agriculture, and are mostly grown on the western side of the state. More grapes grow in Ashtabula County than any other county in Ohio. The county's 58 farmers harvested almost 800 acres of grapes in 2012. Peaches; Ohio harvested $1.8 million worth of peaches from over 600 acres in 2015. Ohio is 23rd on the list of peach producing states in the U.S. and is home to almost 600 peach farms. Ohio’s 2015 potato crop was worth $3.4 million and totaled about 1,200 acres. The state is home to over 700 potato farms and ranks 26th for potato production nationwide. Strawberry fields consumed 600 acres in Ohio in 2015 and netted a harvest worth $3.9 million. Ohio ranks 10th in strawberry production nationwide, with almost 600 strawberry farms. Ohio ranks 11th for cabbage production in the U.S., with 240 farmers. The 2015 harvest totaled 1,100 acres and was worth $4.1 million. In 2015, sap from Ohio trees produced 115,000 gallons of maple syrup worth $4.7 million. Ohio is the sixth-highest maple syrup-producing state in the U.S. In 2015 Ohio's tobacco harvest was valued at $6.9 million. The state ranked eighth in tobacco production nationwide in 2012. Ohio had 224 tobacco farms in 2012 which covered 1900 acres. Ohio’s 327 cucumber farms netted a 5,000-acre harvest in 2015, a crop valued at $7 million. Ohio ranks third for cucumber production. Worth $8.5 million, Ohio’s 2015 oat harvest totaled 40,000 acres. Ohio ranks ninth for oat production nationwide, with 3,160 farms that grow the grain. In 2015, Ohio farmers grew 1,800 acres of squash worth $12.9 million. Ohio ranks eighth nationwide for squash production and has 354 squash-growing farms. Ohio’s 2015 pumpkin crop was worth $14.3 million and spanned 5,500 acres, making the state third in the nation for pumpkin production. Ohio apple orchards accounted for 3,400 acres in 2015, a crop valued at $20.6 million. Ohio has 2,600 acres dedicated to growing bell peppers, a crop worth $24.7 million in 2015. Ohio ranks third nationwide for production of fresh and processed tomatoes. The state has 3,700 acres dedicated to growing tomatoes that are sold fresh and 5,000 acres to growing tomatoes for processing. The combined crop has a net worth of $60.4 million. Ohio has 8,639 farms that produced 480,000 acres of wheat in 2015, worth $147.9 million. Ohio ranks 14th in the U.S. for wheat production. Hay is nothing more than cut and dried grass and other herbaceous plants that most farmers must keep to feed their animals, but the USDA also considers it a cash crop. Ohio farmers produced $451 million-worth of hay in 2015, a total of 1.2 million acres. Corn consumes 3.5 million acres across 25,000 farms in Ohio, mostly in the western portion of the state. Ohio’s 2015 harvest was valued at $1.9 billion, making the state the eighth largest corn producer in the U.S.
Ohio ranks seventh nationwide for soybean production and is home to approximately 24,700 soybean farms, according to data from the USDA's 2012 agricultural census, the most recent year for which data is available. The state produced 4.74 million acres of in soybeans in 2015, according to the USDA, for an annual economic impact of $5.3 billion. We hope you find this article informative. You may have seen our TV commercials or read one of our many helpful articles online. We have been helping people just like you for over 40 years. If you need legal assistance, we are ready to help you. 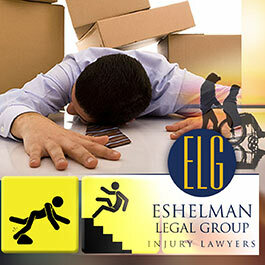 Call the Eshelman Legal Group today for your free initial no obligation consultation. Call: 1-800-365-0001 "We'll Make Things Right".